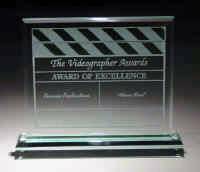 The video produced by the CCGA after the ISAR 2007 Competition in Toronto was presented with an Award of Excellence at the a 2008 Videographer Award Competition. During the same competition, the CCGA was also presented with an Award of Distinction for the ISAR ISAR 2007 Public Service Announcement. Both videos were directed by Navigator Communications´ Sandy Durocher.